As I laughed with my daughter, I couldn't help but remember all the times I would sit as a child with parents and grandparents, especially around the holidays and watch holiday specials on television that included famous comics like Bob Hope and Phyllis Diller. This was a time that comedy was clean and wholesome, and the whole family could sit around and enjoy listening to, and laughing along to. 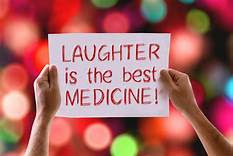 They say laughter is the best medicine, and I have found this to be so true. Even during difficult times, like illness or the passing of a loved one, a simple joke can lighten a mood, and also spark memories of family that make you smile. This year, when I head to my parents' house for Christmas I will be bringing along the new "Forgettable Jokes for Older Folks" to share with family and friends, as we sit around the table telling jokes and even reliving embarrassing moments we wish others would stop bringing up. :-) This book, even though the titles says for older folks, it perfect for kids and adults. The jokes are wholesome, and will make everyone chuckle. "Honey, the fire department just called. They want to know if you'll be cooking tonight, or if they can take the night off? I'd go to the end of the world for my husband. Of course, if he'd just stop and ask directions I wouldn't have to. I am also excited to offer up a copy of this joke book as a giveaway, for only lucky Inspired by Savannah reader to win. You can keep this book, or gift it to someone this holiday season. 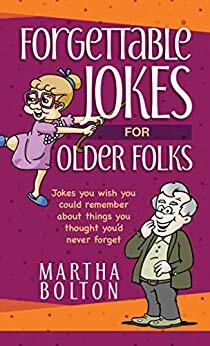 "Laughing all the way to your next birthday … and beyond, is guaranteed with FORGETTABLE JOKES FOR OLDER FOLKS by Martha Bolton. Martha is an Emmy, Dove and Writer’s Guild nominee and was a staff writer for Bob Hope for over a decade. We all age, but why grumble about it? If you’re still here, have some fun and enjoy life. The best way you can do that is through laughter. 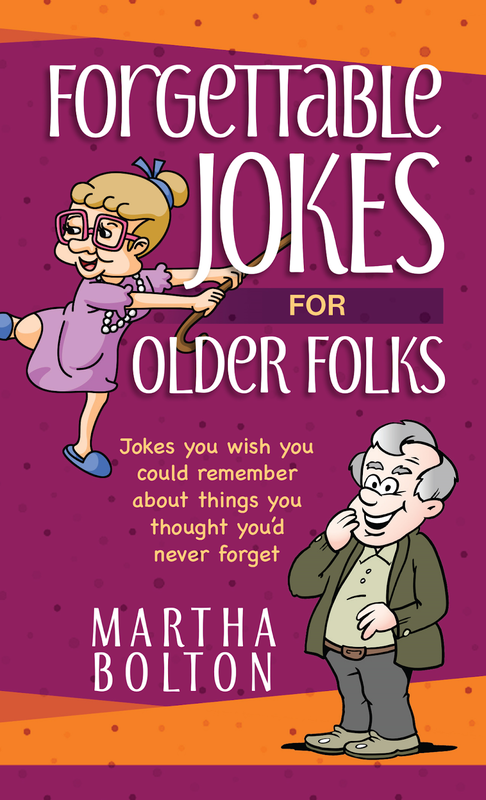 From well-known comedy writer, Martha Bolton comes a refreshing book of jokes for older folks. Topics for laughter include senior foibles, doctor visits, grandchildren antics, travel, politics, pets, technology troubles, good old days, and love. Give yourself a laugh vacation. Read this book, share it with your friends, and smile your way to a better outlook on life. And these days, who couldn't use some extra laughs?" Martha Bolton, the former staff writer for Bob Hope and author of eighty-nine books, has written comedy for Phyllis Diller, Mark Lowry, Chonda Pierce, and many others. Nominated for an Emmy, Dove, and Writers’ Guild Awards, she is currently the playwright for Blue Gate Musicals, with plays running in Indiana, Ohio, and Pennsylvania; two of which are based on her novels, Josiah for President and The Home Game. After spending most of her life in California, she now makes middle Tennessee her home.